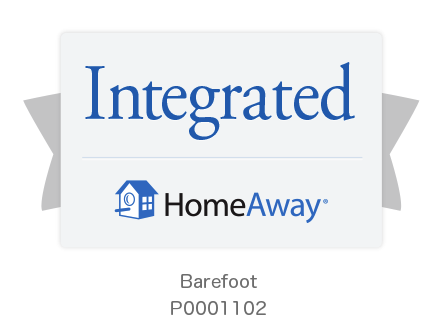 Additionally, HomeAway has scored another win for the industry through their investment with Barefoot. Barefoot will offer this to their customers for free. Interested vacation rental management companies will have to sign an agreement with HomeAway and will be able to take advantage of two different pricing models. The first is through an annual subscription with HomeAway with all bookings free or they can make arrangements to take a percentage of the bookings based on a tiered model (with the percentage coming in significantly lower than other national online travel portals). “This is a great example of how HomeAway has taken the time to understand the vacation rental company niche… other OTAs tend to ignore some of the factors at play in this industry, by offering prohibitive commission structures, not managing unique inventory and not taking into account all of the other fees that the vacation rental industry has built into their revenue models,” emphasized Ulmer. customers and makes it even easier for property managers to list their inventory on HomeAway,” said Jon Gray, HomeAway Senior Vice President. “Property managers can take advantage of HomeAway’s global network of sites with more than 65 million visits per month. Now with one million listings and counting on our sites, Barefoot adds to the excellent vacation rental options for our travelers." Barefoot is one of the first vacation rental software companies that has leveraged this partnership. This integration is well suited for Barefoot because the company is designed to be able to react quickly to changing market needs through the on staff development team. Barefoot also has a customer base that has a deep understanding of the value of technology in leading in their markets. Several customers were involved in the beta testing process for this integration and more customers are coming on board quickly. To take advantage of this partnership, please contact sales@barefoot.com and contact HomeAway by clicking here.